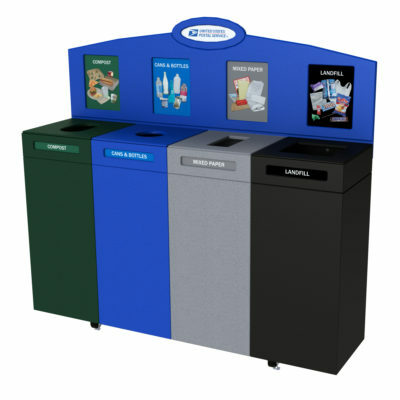 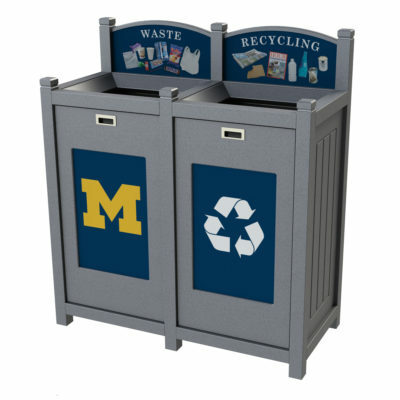 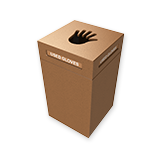 Whether you’re looking for recycling bins for high traffic areas, crowded spaces or to fit in with your décor – CleanRiver has an indoor recycling bin to accommodate multiple needs in a variety of sizes and colors to make your recycling program a natural and intuitive part of your day-to-day operations. 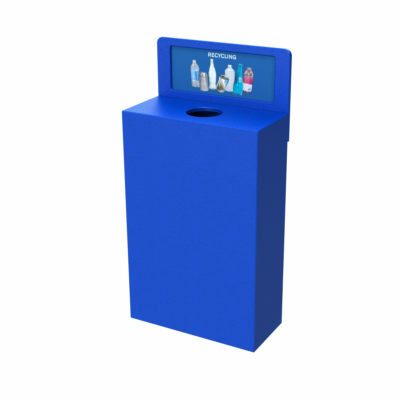 Customize this eye-catching recycling station to meet your specific stream collection requirements. 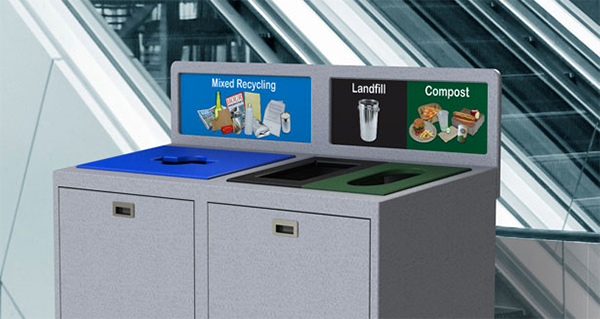 Color code the compartments and top plates to standardize your facility wide program. 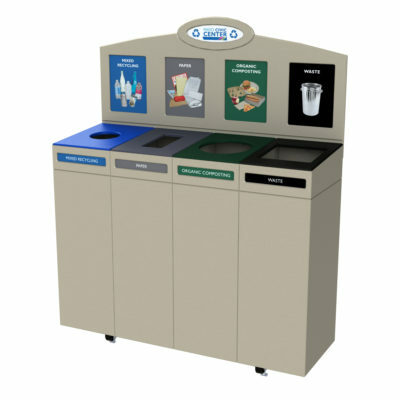 Add optional high-impact back board graphics and branding to increase program effectiveness. 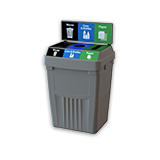 Designed for easy servicing the unit has front opening doors and rigid liners. 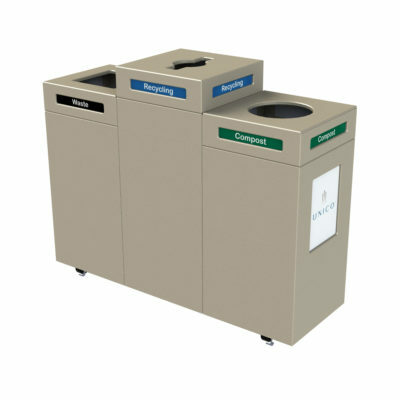 Heavy duty casters allow the unit to be moved for cleaning or repositioning. 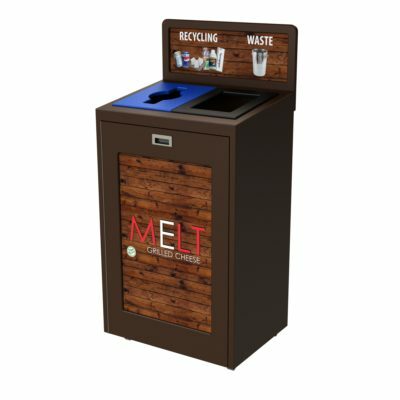 The Small Top Loading container instantly creates an eye-catching, high-visibility recycling center customized to your exact source-separation requirements. 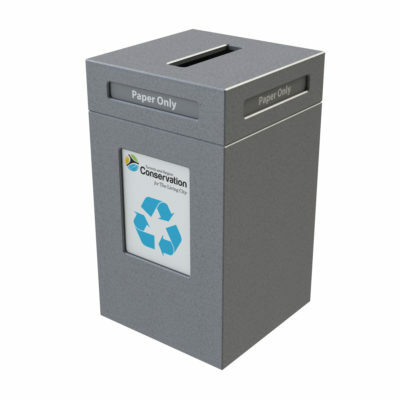 Each unit has an aesthetically pleasing angled top design and comes with heavy-duty ball bearing casters. 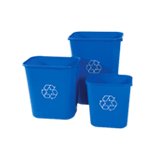 Optional backboard is available. 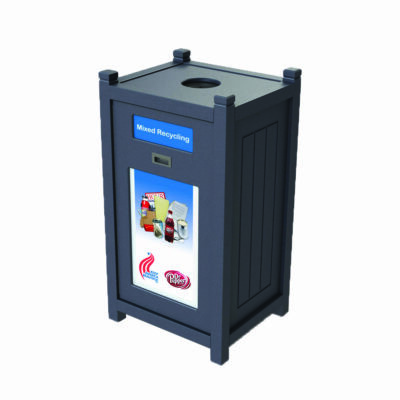 The Large Top Loading recycling station offers a shallow 15.5” x 15.5” footprint per compartment which is ideal for narrow locations. 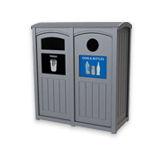 Each unit has a flat top and a larger capacity than the Small Top Loading models. 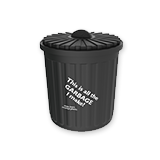 Optional backboard is available. 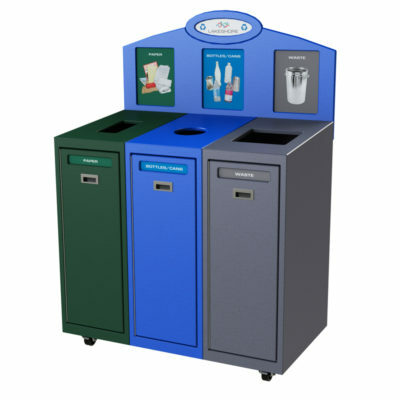 This sleek unit is available in four different sizes, and has been designed to either stand alone or be grouped together to collect multiple streams. 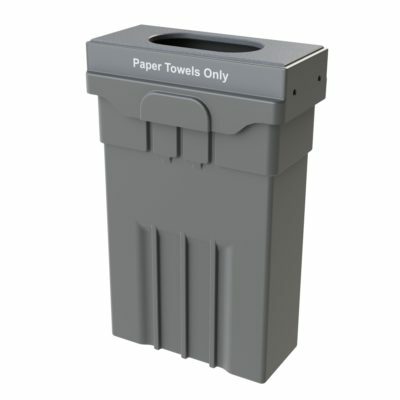 The unit features innovative bag clips that secure the bags firmly in place for easy servicing, and includes stream labels on all fours sides. 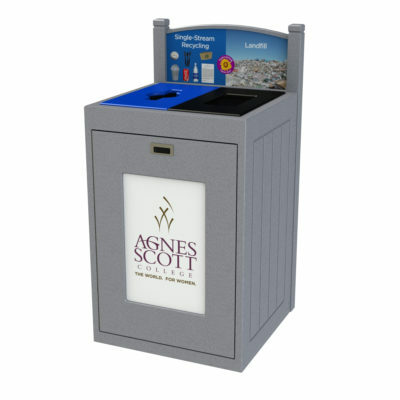 The Pedestal allows for the increased capacity of high volume recyclables. 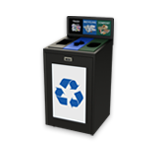 The raised center offers a unique appearance and full color labeling on all sides makes this unit ideal for island placement in high traffic indoor areas. 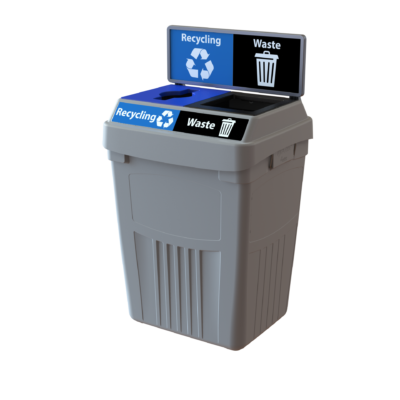 Each unit includes heavy-duty ball bearing casters for easy moving.